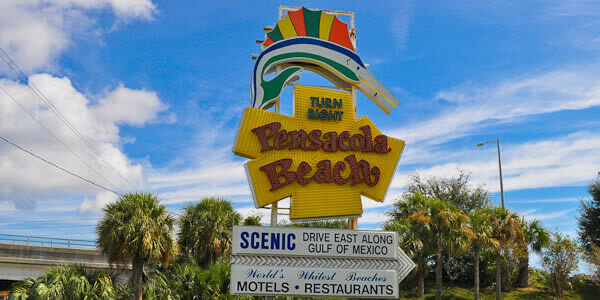 Historic Pensacola Beach Gateway sign, when you see this you are almost in paradise. 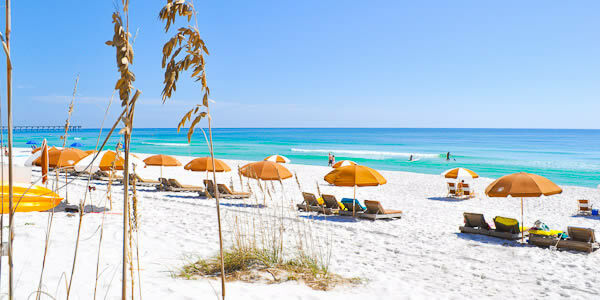 This is why most people come to Pensacola Beach, great Gulf views and relaxation. 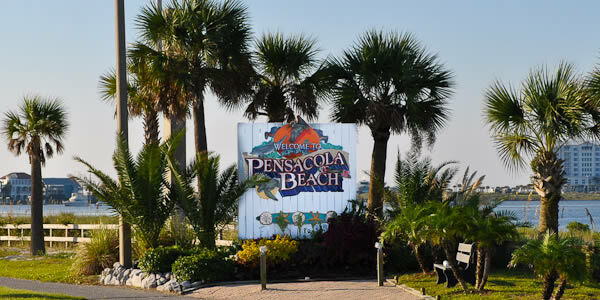 Welcome sign as you are entering Pensacola Beach on Santa Rosa Island. This one of the stops for the free beach trolley. This a great way to get around the island for free. 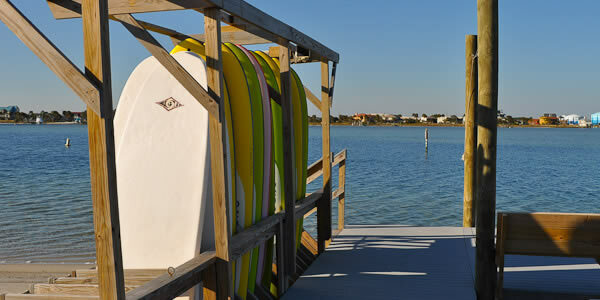 There are plenty of waterfront activities to keep you busy all day. 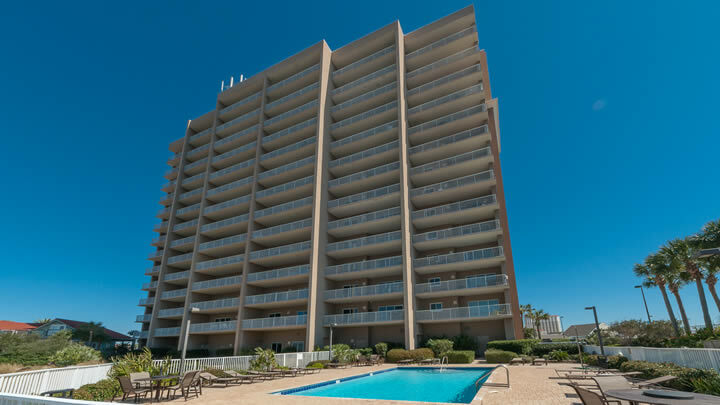 Portofino on Pensacola Beach is one of the most amenity rich condominiums available locally. 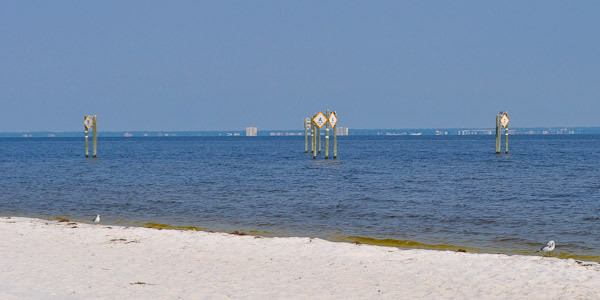 The signs you see here indicate the area reserved for the Pensacola Beach Park West snorkeling reef. 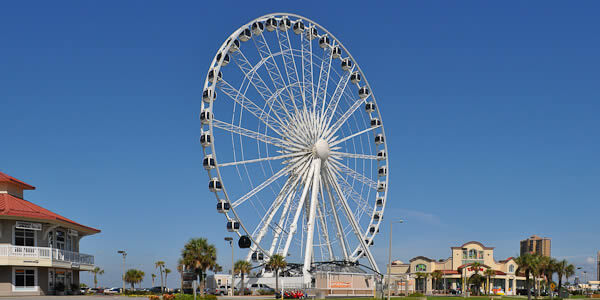 The Observation Wheel is a great way to get bird's eye view of all the beach has to offer. 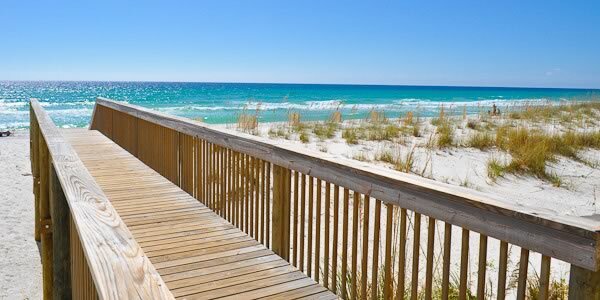 Access to Pensacola Beach over the sand dunes. 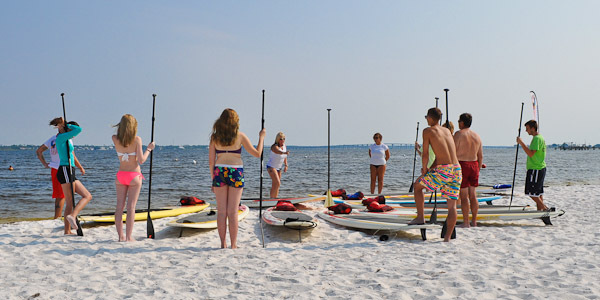 Students at a paddleboard class in Pensacola Beach are preparing to launch their boards on the Pensacola Bay. 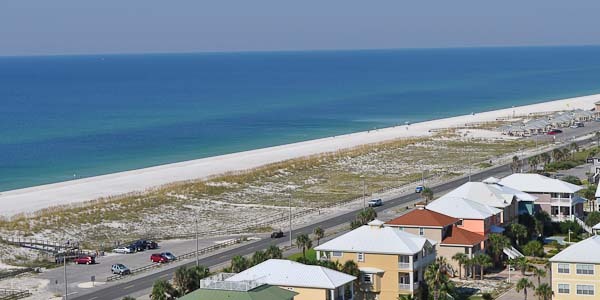 Great view of the Gulf beach and Pensacola Bay at the West end of Pensacola Beach from Tristan Towers Condominium. 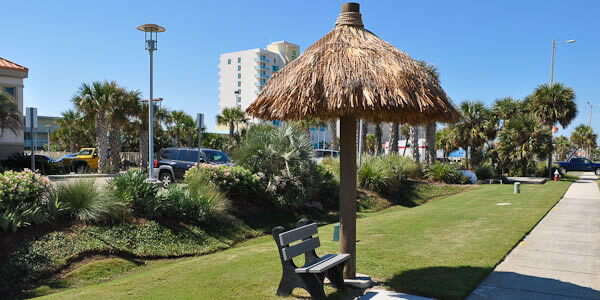 This is one of two Dog Parks at Pensacola Beach. 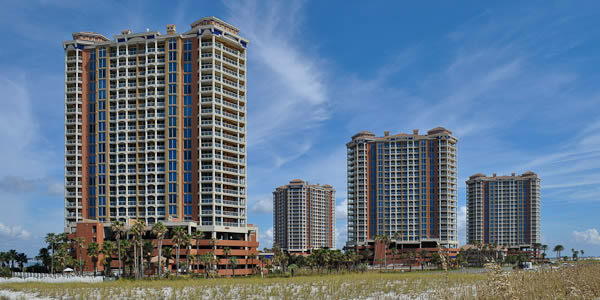 The one you see here is located at the east end near Portofino. The other is located at the west end near Fort Pickens. 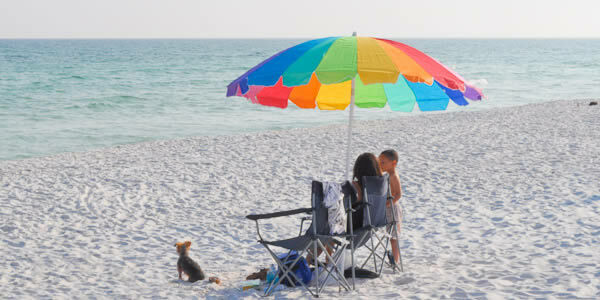 Come and enjoy time with your pet on Pensacola Beach. 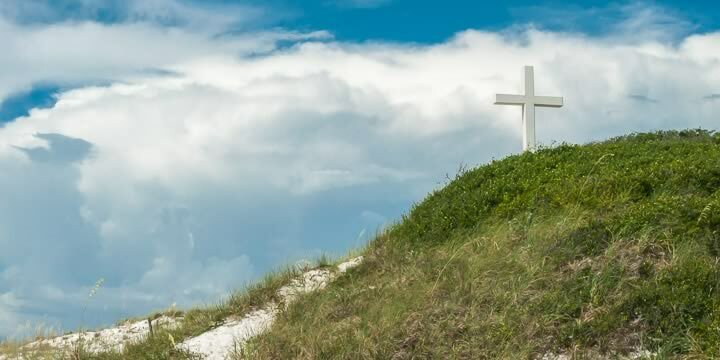 This Island Cross commemorates the the first mass performed by the Dominican Friars on Pensacola Beach in 1559. 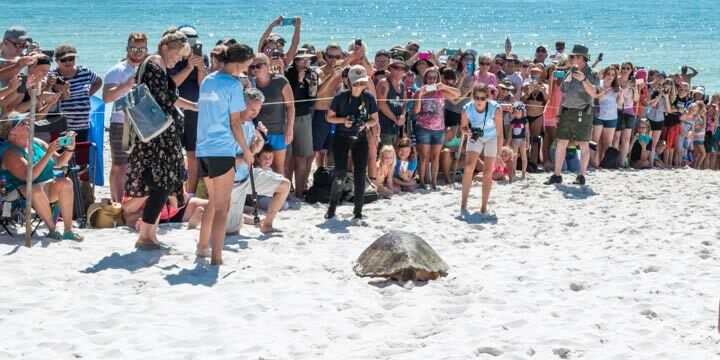 Injured sea turtles being release at Fort Pickens, Pensacola Beach after rehabilitation. 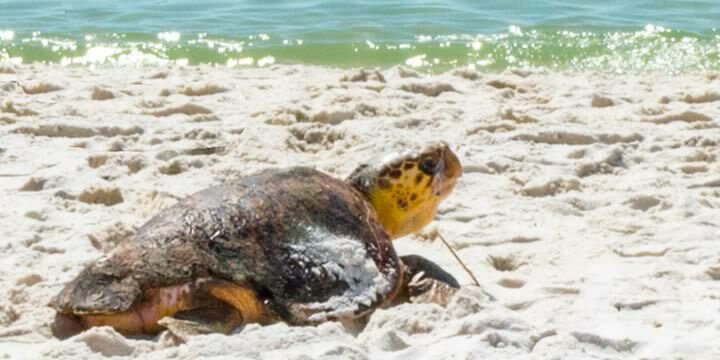 One of the larger sea turtles that was released on the beach. Is the observation wheel up all year or is that just a summer attraction?